gay only Bed & Breakfast is conveniently situated in a haven of greenery, out of sight, surrounded by vineyards and umbrella pines. You will be immersed in a warm and friendly atmosphere where you will feel both away and soon at home. 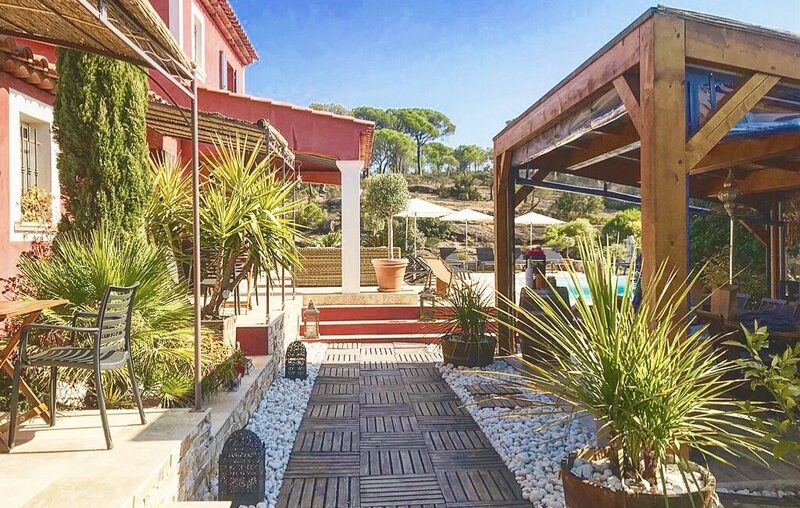 Our four guest rooms, perfectly equipped and oriented to the sun, for you to make the most of this idyllic setting and of the services provided by the villa. so that you may enjoy a relaxing time in a calm and restful environment. Here, in the Var and the French Riviera, thanks to the mild climate our home is blessed with more than 300 days of sunshine per year. Whether you are naturist or not, alone or with a partner, or with friends, for a short break or for several weeks, our Gay guest rooms are intended to immerse you into a most welcoming atmosphere. At the Villa Bacchus, to set you up for the day, a hearty breakfast is served, on the open porch in front of the swimming pool. a good opportunity to take a moment to share and exchange with all the guests as well as with the owners. Make sure not to miss the aperitif that is offered every night on the outside terraces at nightfall. The guest house is an ideal start point to discover the most famous cities of the Côte d’Azur, such as St Tropez, Ste Maxime or St Raphael. 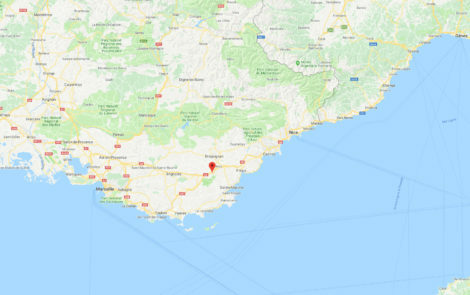 At a stone’s throw of the Gay beaches of Pamplona and Saint Aigulf, but also near renowned natural settings that are the gorges du Verdon and the massif de l’Esterel. so that your layover in our magnificent region would remain an unforgettable experience.